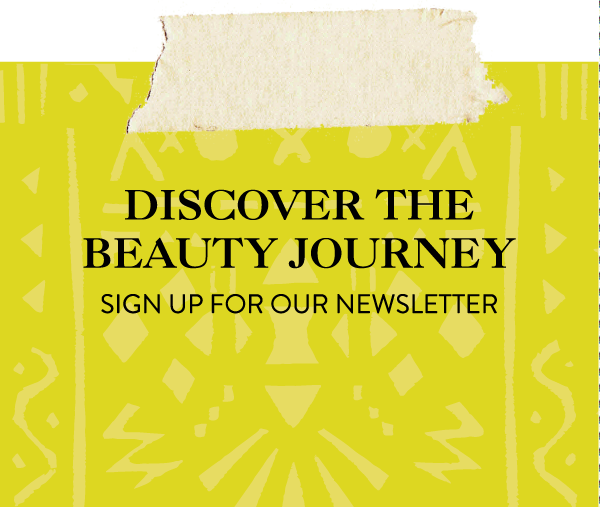 The aunt of the bride-to-be, Dibyaa Verma, let us in on all her bridal beauty secrets for a Hindu wedding. 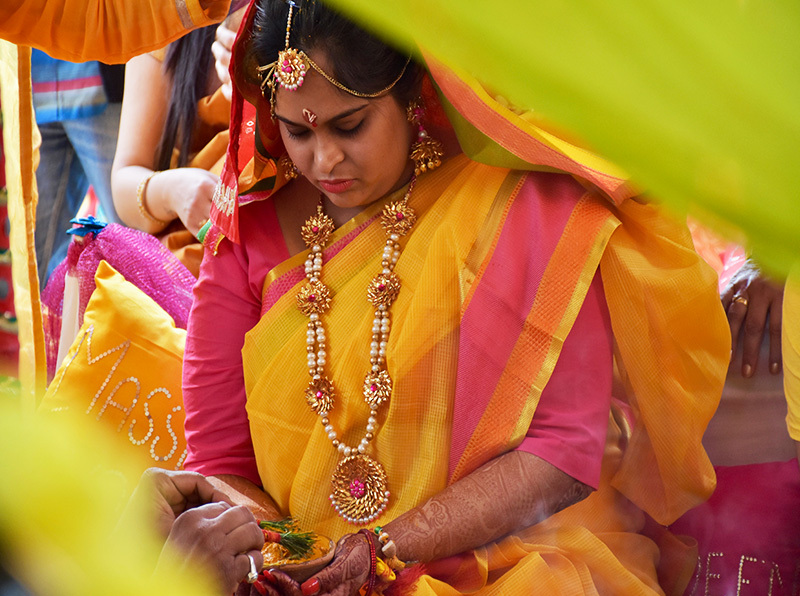 While these ceremonies are shared throughout the culture, each family puts their own spin on it, and here’s how this bride got ready for her big day. 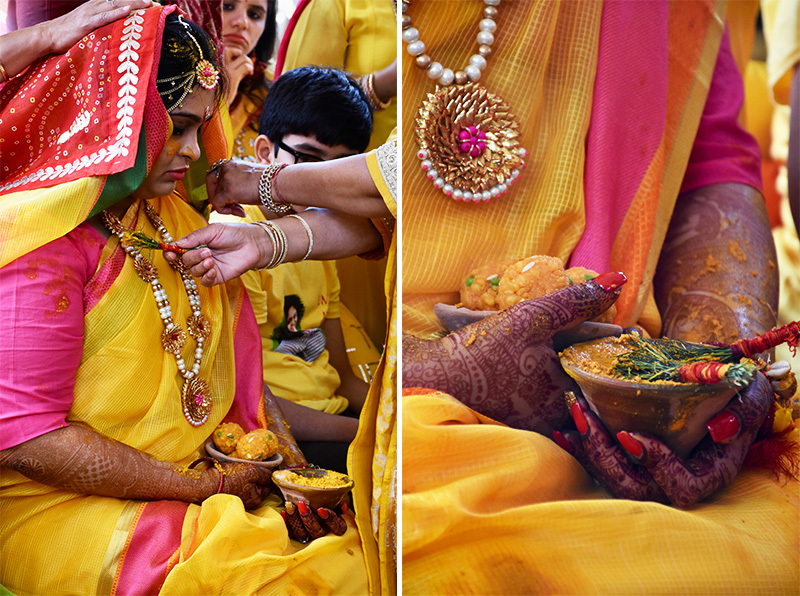 The Haldi Ceremony is where a paste of haldi (turmeric, water, oil) is applied to the bride by her closest friends. Known for its properties in cleansing, purifying, and protecting against evil spirits, it is a blessing as well as a moisturizing facial. Our friends also shared their astrological belief of the ritual: Turmeric is yellow, the color of Jupiter. Since Jupiter is the planet of marriage, this ceremony is conducted outside to attract the energy of the planet and to further bless the marriage. 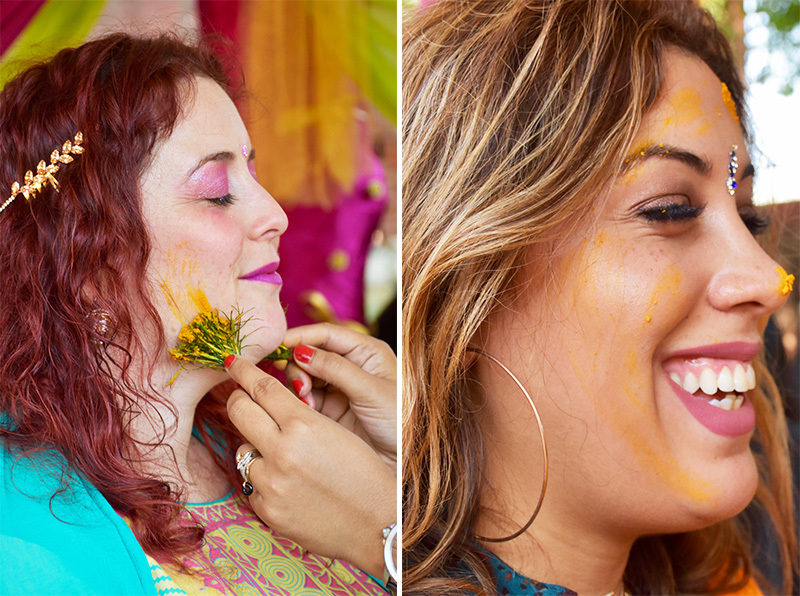 Not everyone shares the astrological belief, but Hindus agree that turmeric is known to give skin a glow to beautify the bride. Seven married women (as seven is an important spiritual number) take part in this ceremony to bless the bride, having tons of fun and giggles as they rub the yellow paste all over her. The bride then takes a holy bath that ideally contains the waters of seven rivers. 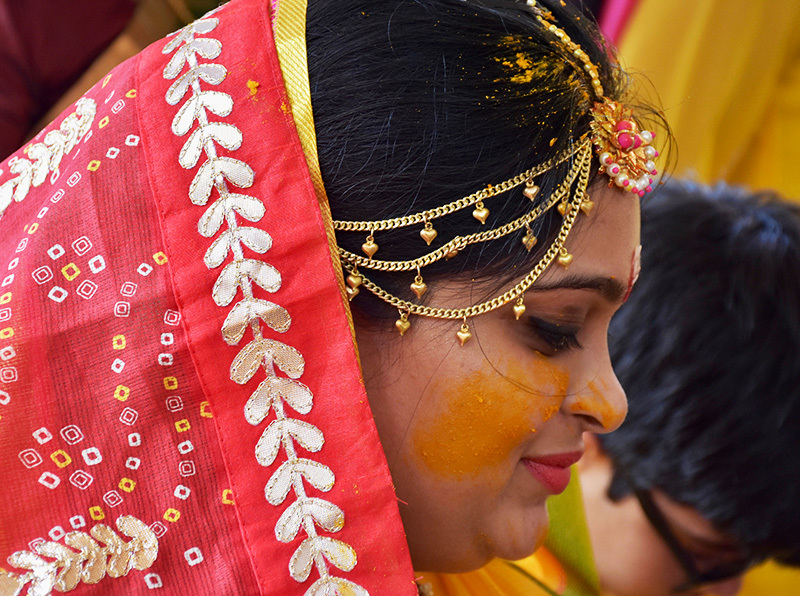 Among the following ceremonies, the bride receives a tilak, or bindhi on her forehead symbolizing the blessing of Brahman, the powerful god. Her mother is also there praying for the gods to “keep the hand of blessing on her daughter”. This day also consists of the mehendi ceremony, where a skilled henna artist decorates the bride in intricate, ornate henna designs on her hands, arms, and legs and feet. It is said that the deeper the color, the deeper the love for her husband. At this time, the bride has been blessed by the gods, her mother, and by her married friends. Having all forces in her favor, the bride is ensured a happy marriage and a joyous, beautiful life. There’s no better way to prepare for a wedding than a spa day filled with loved ones. While fun and spirited, these rituals are also extremely symbolic. They make the bride look and feel beautiful and create a spiritual ceremonial space that is still fun and comfortable. Stephanie and #beautytraveler Rena join in on the festivities! love this! thank you both for capturing this beautiful event and the meaning behind it.